We also believe that it’s important to recognise and reward our team members for their contributions to ensure we achieve our company mission and realise our vision while living our company values. The Talent Program helps aspiring people to move into leadership roles and explore their full potential. Your journey begins with a personal growth plan to identify short and long term goals, areas of focus and a six month action plan. As a Talented employee, you’ll receive comprehensive training and guidance to help you achieve your personal goals. The iPi Group Team Members have access to a wide range of industry experts who are willing to share their knowledge and expertise with you. Rewarding iPi employees is a positive experience shared by all. In addition to Employee of the Month, we recognise excellence with monthly and annual awards, random acts of kindness and performance based salary reviews. Nominations for Team Member of the Month are always open and aim to reward the outstanding individual efforts. Team Member of the Month is divided regionally or by site. Winners receive a certificate and a small cash prize. We celebrate our iPi Group veterans. When you reach 5, 10, 15 and 20 years of service, you’ll also receive a gift of appreciation. Get more kick for your Kina! Our salary sacrificing program enables Team Members to package just about anything. Team Member goals are supported by the iPi Group’s extensive range of learning and development opportunities that include traineeships and apprenticeships, study and education assistance and internal training courses. The iPi Group is supportive of Team Members who are studying to obtain industry accreditation or tertiary qualification. 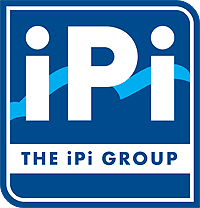 Eligible Team Members are encouraged to apply for the iPi Group’s Study and Education Assistance which includes paid study leave and fee reimbursements. The iPi Group is proud to be a culturally rich workplace and operates according to the Papua New Guinea Law and our 7 Core Values in which is embedded respect for all iPi Group fellow employees. We live our values, because our Values live through us.